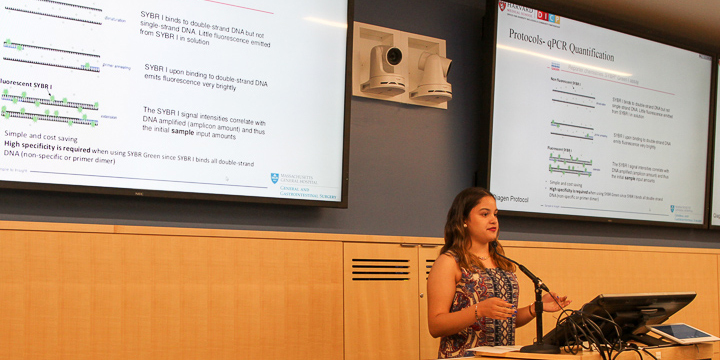 A program for Boston and Cambridge high school students only, currently in grade 11 and 12, particularly students from groups underrepresented in medicine and/or disadvantaged students, to participate in paid, mentored, summer research internships at Harvard Medical School and its affiliated institutions. The Project Success is partially supported by the Red Sox Foundation. 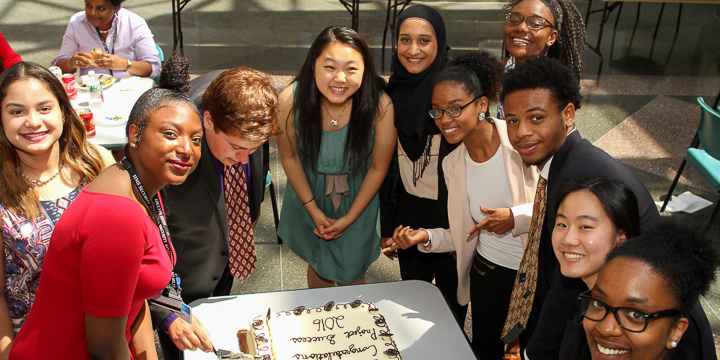 Project Success: Opening the Door to Biomedical Careers is a program for BOSTON and CAMBRIDGE high school students only, particularly underrepresented and/or disadvantage students, to participate in paid, mentored, summer research internships at Harvard Medical School and its affiliated institutions. The program is augmented by seminars and workshops given by faculty and administrators, site visits, and career counseling. Summer Internships: Paid "hands-on" research positions for 8 weeks, from June through August. 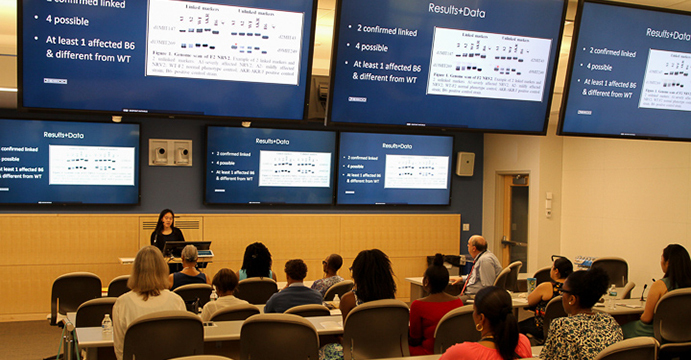 Educational Opportunities: Summer discussion series; seminars with researchers and physicians; site visits to hospitals and biotechnology firms; computer training; development of writing and speaking skills; academic year seminars and special programs. Student Support: Assigned mentors and research advisors; information about the college application process; career counseling; networking with students in other summer programs. To identify, recruit and nurture talented students from Boston and Cambridge, particularly students from groups underrepresented in medicine and/or disadvantaged, who are interested in pursuing biomedical careers. To link students with scientists and physicians. Students will assess their interest in and aptitude for biomedical careers; engage in hands-on research to enhance their technical skills and scientific knowledge; and be encouraged to become critical thinkers. To provide continuing support and resources for students in developing academic and professional career paths. Reside in Boston or Cambridge, Massachusetts. Be a Boston or Cambridge high school student, particularly a student from a racial or ethnic background underrepresented in medicine and/or from a disadvantaged background. Have completed the junior or senior year of high school and be at least 16 years of at the time of application. Have demonstrated an interest and ability in science, interest in pursuing a biomedical science or health-related career, and commitment to attending college. Have maintained a Grade Point Average (GPA) of at least B-, and have completed biology, algebra, and chemistry. Be willing to complete all required formal oral and written reports; attend all Project Success-sponsored seminars; and maintain good attendance and performance on required research projects. 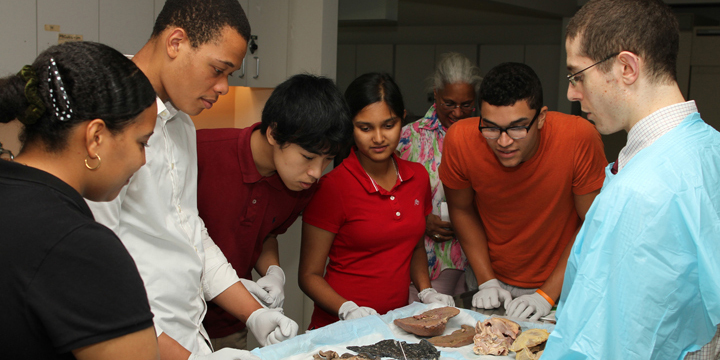 Be committed to participating in selected Harvard Medical School Educational Outreach Programs for a year after completing the program. We are no longer accepting applications for the 2018 Project Success summer internship program. a signed parental or guardian consent form. The Project Success Advisory Committee will meet to review all complete applications received by the deadline date. Selected applicants will be invited to an interview with committee members. Students selected to participate in the program will be notified by telephone and mail.